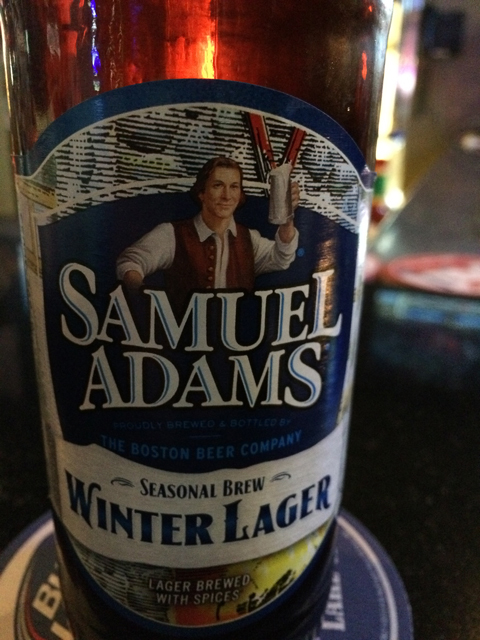 In a visit to my favorite local bar – The Point After – I found they had a Sam Adams Winter Lager in the bottle. For Utah beers, this is the only way to get one stronger than 3.2% ABV. When I drink beer, it’s mostly lagers and pilsners and I normally like anything that Sam Adams brews. This lager was especially good, with a full body flavor and a nice smooth taste. And some added spice to this mix. It went down very nice. It’s seasonal, so this is one of those beers that won’t be around too much longer. If you get a chance to try it, do so. I approve of this holiday lager. This one is absolutely delicious. I also love the holiday beers. Blue Moon, which I love, also has a seasonal ale that is amazing as well.